GRAFENWOEHR, Germany — So, you are getting ready to PCS to Germany, and you’re scared, excited, nervous or all of the above. You’ve already gathered your family’s information, but what about your pets? This can add more stress to an already stressful situation. Below is a list of several resources that will make traveling with your pet a little less stressful. First, let’s talk about paperwork. If you don’t remember anything else during your travels, be sure to remember to save and keep every bit of military-related paperwork with you. One of the first things you should know as a pet owner about PCSing to Germany is the country’s breed restrictions. Germany has specific laws that prohibit some dogs from the region. The state of Bavaria enacted a law in 2002 classifying dog breeds into two categories and restricting specific breeds deemed dangerous. Class 1 dogs — both pure and cross breeds — are not allowed in Bavaria. These dogs have been shown to react aggressively with little provocation and have been traditionally used as fighting dogs, based on studies evaluated by the Bavarian government. Owners must provide proof of pedigree. In Bavaria, class 2 breeds, as well as their crossbreeds, are also presumed to be dangerous and aggressive. Owners must provide proof the animal does not possess tendency for heightened aggression. Typically, these dogs are required to pass a temperament test with a licensed provider and then registered with the host nation safety and public order office. Tests can cost up to several hundred euro, and dogs must be at least nine months old to be eligible, according to USAG Ansbach. Dogs that fail the mandatory test are treated with the same legal provisions as class 1 breeds and are illegal in Bavaria. NOTE: Owners of temperament-approved class 2 dogs are required by German mandate to keep the pet muzzled and on a leash in public areas. Additionally, the dog walker must be least 18 years old and physically capable of controlling the dog. Only one class 2 pet can be walked at a time. Be sure to have all required paperwork completed when entering the country. Providing pedigree and being prepared is the owner’s responsibility. For more information regarding breed restrictions and requirements for dangerous breeds while in Germany, visit Military Installations pet shipping guidelines. Whether a service animal or emotional support animal, breed restrictions still apply. Additionally, it doesn’t matter what breed is listed on the medical records. This depends on the animal’s appearance and pedigree. This is a German law, and is enforced by German authorities. Class 1 breeds (or class 2 breeds that fail a temperament test) are subject to confiscation, confinement at the owner’s expense and more. Do not try to sneak a banned breed into Germany. Now that we’ve covered breed restrictions, here is a list of the things you’ll need to travel with a pet. This is a starter list, compiled with the help of the USAG Bavaria Vet Clinic and U.S. European Command Customs and Border Clearance Agency. Every pet and family situation is different, however, so it’s important to contact your local veterinarian and transportation office for assistance in assembling all the appropriate paperwork. To view more information about specific pet immigration requirements, visit the DoD’s personal property consignment instruction guide. Identification with microchip. All pets must have an ISO compliant 15-digit microchip to enter Germany from the U.S., said staff at the Vilseck Veterinary Treatment Facility. It is recommended to keep record or proof of when that microchip was implanted. Have your pet chipped with an ISO-compatible microchip. The number and implant dates of both microchips must be documented on the pet’s health certificate. Rabies Vaccination Certificate (DD Form 2208). A rabies vaccination must occur after microchip implantation and be current upon entering Germany. The rabies vaccination may be administered the same day as the microchip implantation, but any rabies vaccination administered before a microchip is implanted is invalid. NOTE: If your pet had a non-ISO compatible chip implanted at the same time as or before your pet’s most recent vaccination, your pet will not have to be re-vaccinated even if it had to be re-microchipped with an ISO compliant chip to travel to the EU. If one microchip predates the rabies vaccine, then the number and implantation of both microchips MUST be documented on the EU health certificate. Health Certificate (DD Form 2209). The health certificate must be signed by an accredited veterinarian after examining your pet and determining that it is free of infectious diseases and satisfies all German import requirements. Afterward, have your completed paperwork endorsed by your local APHIS Veterinary Services office or USDA-accredited military veterinarian, and ensure a bilingual EU-specific health certificate is also completed. (Form 2209 alone is not enough to enter the EU, but it works to return to the U.S.) Your local APHIS Veterinary Services office or USDA-accredited military veterinarian will be able to provide specific information about the process and fees associated with endorsement of the EU Health Certificate. Other. Your pet’s safety for travel is your responsibility. It is ultimately your responsibility as the owner to ensure all requirements are met. Additional documents, such as immunization lists, border clearances, kennel labels and proof of ownership may also be required, depending on the family’s circumstances. For a full list of importing requirements, visit APHIS Pet Requirements for Germany. If you are PCSing from a country other than the U.S., there may be additional requirements, which you can find on the USDA APHIS Pet Travel website. Now it’s time to travel, but pet owners should note that there is a two-pet limit documented on PCS orders for Germany. More pets require an exception to policy memo, regardless of whether you live on or off post, or in military or private housing. 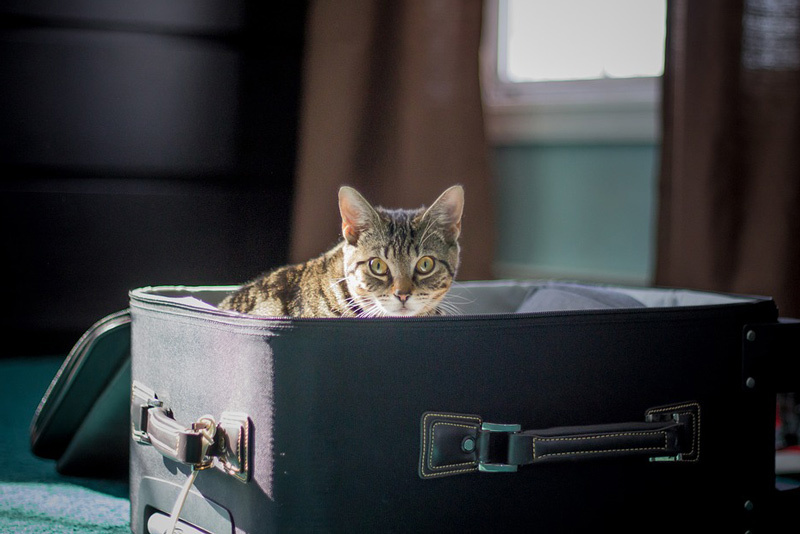 Air Mobility Command authorizes families traveling on PCS moves to transport pets on DoD-sponsored airlines, such as Patriot Express, according to AMC’s pet brochure guide. Pet space is very limited on Patriot Express flights and are offered on a first-come, first-served basis. Pet shipments will be in conjunction with PCS moves only IAW DoDI 4515.13. Pets normally travel in the aircraft baggage hold area but may be accepted for shipment in the cabin area if they meet the requirements. To book your pet’s space, contact your local transportation office, or TO, as early as possible. In general, families are usually limited to two pets. Owners with more than two pets must notify the TO at least 15 days prior to the flight to reserve any possible additional space. Owners must also accompany pets on any AMC flights and pay the transport fees. Pet owners must also pay a 55 euro fee to the German Government upon claiming your pet and processing through customs. If pet slots are not available on Patriot Express, your pet may need to travel commercially. Several airline companies will ship pets for military families, including Lufthansa, American, Delta, Alaska and Hawaii Cargo. For the complete list of pet carriers, go here. Typically, prices can range from $400 – 2,000, depending on the airline, pet size and weight, and location. Be sure to check with specific airlines for their rates and requirements. Be constructed of fiberglass, metal, rigid plastics, weld metal mesh, solid wood or plywood. Floor must be solid and leakproof. Roof must be solid. Kennels made exclusively from wire will not be accepted. Provide a three-inch clearance above the tallest point on the pet’s body (head or ears when standing in a natural position). Be secured with a metal nut and bolt in each hole to connect the top and the bottom. Both water and food bowls must be attached to the inside of the front door and be refillable from the outside of the crate without opening the door. Food can be attached to the top of the crate in a plastic bag. Contain no hard toys or objects that could bounce around and injure your pet. It is very important to keep in mind ever airline is different, it is recommended to check with the airline or AMC officials for exact requirements. There are also occasional seasonal restrictions for certain aircraft or airlines. Also, the American Veterinary Medical Association does not recommend sedating or medicating your animal prior to the flight. When you land, head to the cargo location to pick up your pet. In most circumstances, your pet will be quarantined until a veterinarian can perform a quick examination and release them. You may also have to pay around €200 in international import fees. You will need a valid government-issued photo ID to pick up your pet. Once your pet arrives in country, you will have 14 days to register them with your on-post Vet Clinic. This is required even if you use off-post veterinary care. If you are issued government-leased or on-post housing, you will also have to show proof of registration at the on-post Vet Clinic and notify the Housing Office of any pets. Happy travels to you and your pet!